If you’re like most women with anxiety, you probably spend a lot of time and energy trying to avoid it. 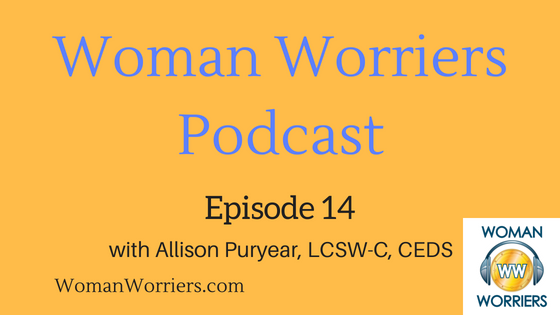 This episode of the Woman Worriers podcast talks about a different way of thinking about — and reacting to — anxiety. Creator and host Elizabeth Cush, of Progression Counseling in Annapolis, Md., interviews Allison Puryear, a counselor who specializes in treating women with eating disorders, sexual trauma and anxiety, and also coaches therapists who are going into private practice. She shares her own journey with anxiety and how it has helped her grow and become a better business coach, therapist, mom and partner.